Get the proven advice that Robin gives his one-on-one coaching clients at a fraction of the cost. Listening to How to Craft a World Class Life is just like being in a one-on-one session with Robin Sharma. Invest in yourself and get the coaching that will take your career, finances, health, and relationships to the next level. Without superior levels of energy it's impossible to get to personal and professional greatness. Yet most of us go through our days only half awake. Take your energy, and your life, to the next level with The Energy Explosion. This Five Element program will dramatically improve your energy and productivity in as little as 14 days. You probably already know all the obvious health and weight loss tips...so why don't you have your dream body? Master the Day is a different way to think about getting the health, body, and life you want - by changing tiny habits, no matter what diet you're on. You'll learn: The nine daily success habits of people that lost over 100+ pounds in a healthy way, and kept it off years later; the four horsemen of the health apocalypse - what simple, overlooked habits cause repetitive failure no matter how many diets we try; and much more. so helpful that I decided to listen to it again! Are you in control of your most precious asset - time? Or are you putting out fires all day long? Does each of your days lead you to your best life? Or is your time wasted on the unimportant? If you want to see extraordinary results in your career and your personal life, then you need to take charge of your schedule. Discover how the best of the best manage their time. After Manage Your Time, Master Your Life you will be able to get more done in a week than most people achieve in a month. I did not like it. It gives a lot of ordinary informations, like using the day to its fullest or to have good plans..ah...! What I disliked most was the fact, that it's quite inconsistent. 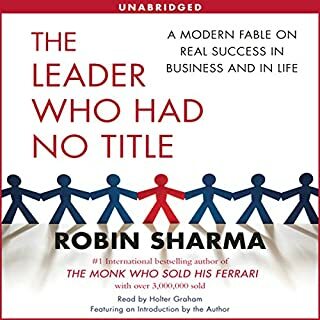 In one part you're told how good it is to be "now" and that long term plans can be quite useless, because you should expect the "unexpectable" and in the next part the author tells you, that all succesful people had success because they had a longterm plan... I also dislike the fact, that he thinks your're succesful, when you've made a lot of money (at least he tells you all the time how many rich people he is consulting). And be warned: there are minutes of silence in this audio, where you're supposed to write something down. So it's shorter, that you think and appearantly for mp3 players, that lack a pause button... I can't reccomend it! 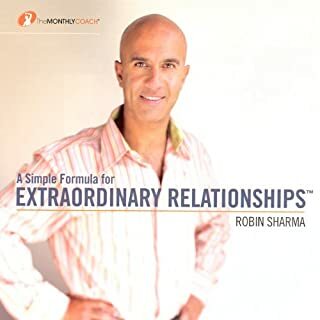 Robin Sharma is always inspirational.. 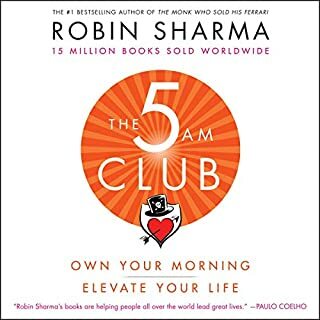 Gives very good points but the title should be something else because it's more about general motivation and self help and less about the title of the talk which is Time Management. I got a few audiobooks on time management. This book is brief, and jam-packed full of wisdom. It's about not only how to make the most of your day, but how to spend it wisely and we'll, and make the most of your next ten years! Fabulous. Wow. Loved this audio by Robin. I highly recommend it to anyone considering listening to it. each and every person mast have to listen this audio to live a life.so go for it. This is an hour well spent. 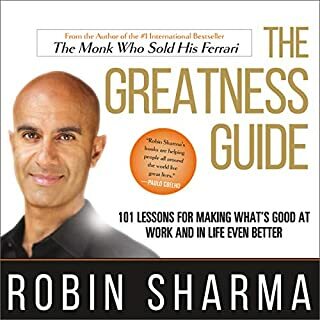 It is a coaching call, not a book, but a reflective one with great, practical ideas. I am happy I bought this one. This had zero impact on any part of my life. interesting and definitely some good points. like so many gurus, I find their tips and advice so exhausting just thinking about it. it's good stuff but not very relatable unless you are already pretty powered up and just looking for some fine tuning and improvements. as someone who feels a little lost and in a muddle, but with a desire to get better, I found this of little value. Did not find this credible or useful. Would not recommend. There are much better books to purchase. pretty unhappy that this audiobook goes for only about an hour or so but it cost me an entire credit. have to watch out for that in future. some helpful insights but nothing I haven't heard before and not worth the spend.